It was a fun day as my grandsons stayed at my house today so their Mommy and Daddy could do more unpacking at their new house. We colored Easter eggs while their Aunt and baby cousin watched. When little brother was napping, big brother and I made candy Easter eggs. It was an easy Taste of Home recipe to make, and it was a perfect activity for a four-year-old. I shaped the eggs and he rolled them in bowls of decorative sugars and sprinkles and chocolate jimmies. I think he did a good job! 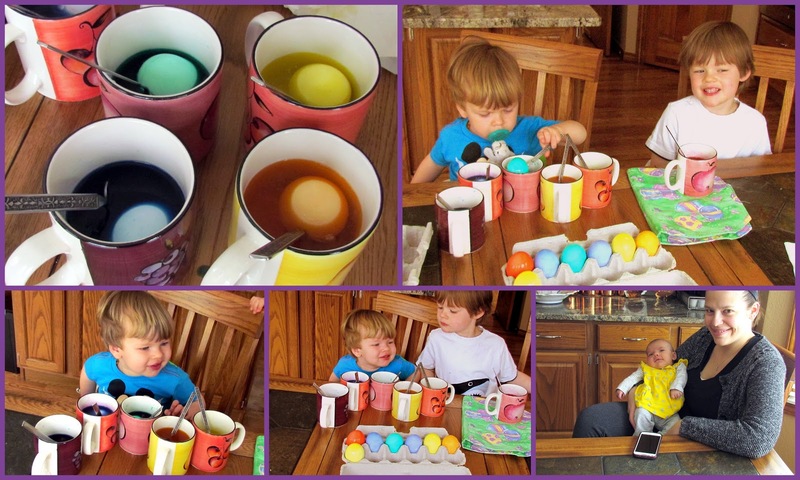 He will surprise his parents with them at Easter, along with cards he made for them. Here's the recipe, in case you'd like to make them with your little one today or for a future holiday! In a microwave safe bowl melt the chips at 50% power in the microwave. Add cream cheese, water, and vanilla. Stir until well blended. Chill one hour, or until easy to handle. Quickly shape into 1-inch size eggs. Later that evening, after the boys went home, my husband and I went for a walk along one of the trails in our community and I saw an angel cloud formation in the sky! It looked so peaceful floating away, and was a wonderful sight to see at the end of a perfect day! Christ has Risen ~ He has truly Risen! Wishing you and your family a very Blessed and Happy Easter! 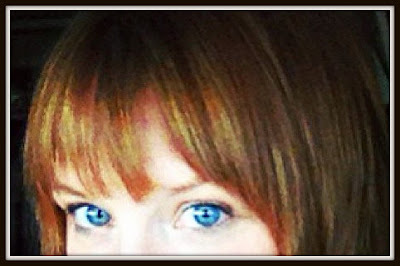 I have a high forehead, so I've almost always worn bangs with every hairdo I've had throughout my life. When I looked at a photo taken last weekend, (you can read why I am wearing Minnie Mouse ears headband on this post), I realized my bangs need a little...who am I kidding.....they need a LOT of work! I never really take the time to style my bangs and this tutorial may help me achieve the light feathered look that this model had, which I love! Aren't these bangs lovely? They belong to my beautiful daughter-in-law! Just look at how they draw attention to her bright blue eyes. Just stunning! This is a look I'd love to have! Busy happenings have been going on here! 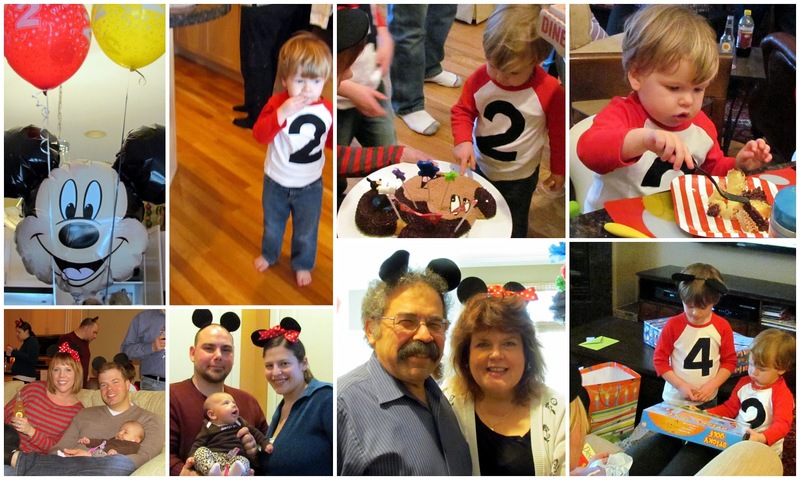 My grandson "M" turned two years old and had a Mickey Mouse party at his other grandparent's house this past weekend. Didn't we all look cute wearing our Mickey and Minnie ears? His big brother "L" helped open the gifts, and we all ate delicious gluten-free Mickey Mouse cake baked and decorated by my daughter-in-law's friend. 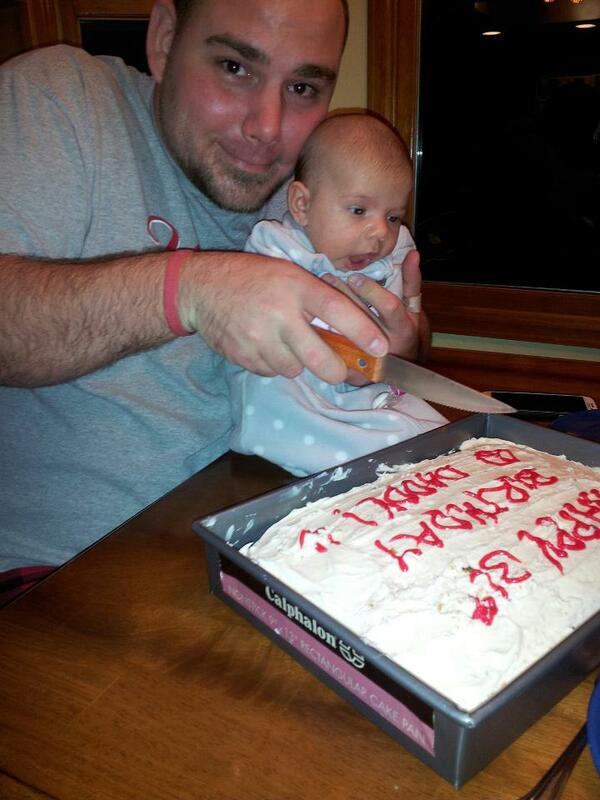 The next birthday was my son-in-law's, on Sunday! My daughter baked him a delicious cake. Doesn't it looked like their baby "J" also wanted to try a piece? In between all this, we celebrated St. Patrick's Day a little late, as my husband was in New York City for a week during the holiday, and I didn't want him to miss our annual celebration. We had the traditional boiled corned beef and cabbage (with red potatoes and carrots), Irish soda bread, and this year I added a whipped sweet potato topped turkey Shepard's Pie. I promise to put the recipe up for that next year, before St. Patrick's Day, as it was really delicious! 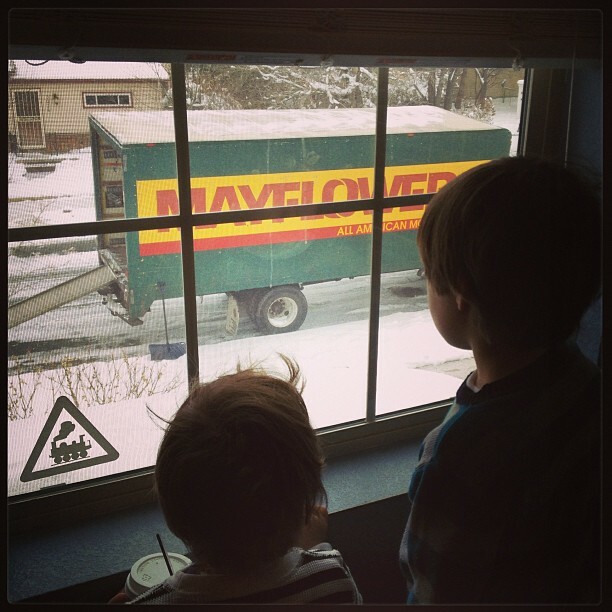 Last, my two grandsons watch as the movers came to their home this week. They moved a little closer to us, in a suburb of Denver. They will now have a bigger house and backyard and will be living closer to many of their friends, so it's a very positive move. Can you believe it is almost Easter? Happy Passover to all my Jewish friends and readers! The fun cake above was made by my great niece, Rachel, for a prior Easter dinner. You can find the recipe here on the Taste of Home website. Rachel always makes fun desserts that all my great nieces and nephews would enjoy. I'll miss being with my extended Long Island family this holiday, but it will be wonderful being together with my children and grandchildren here at home in Colorado for the first time! How are you celebrating the holiday this year? Let's hope for a beautiful sunny and mild day! The City and County of Denver provide over 200 city parks, over 100 miles of trails, and 11 dog parks. This equals over 5000 acres of urban parkland. 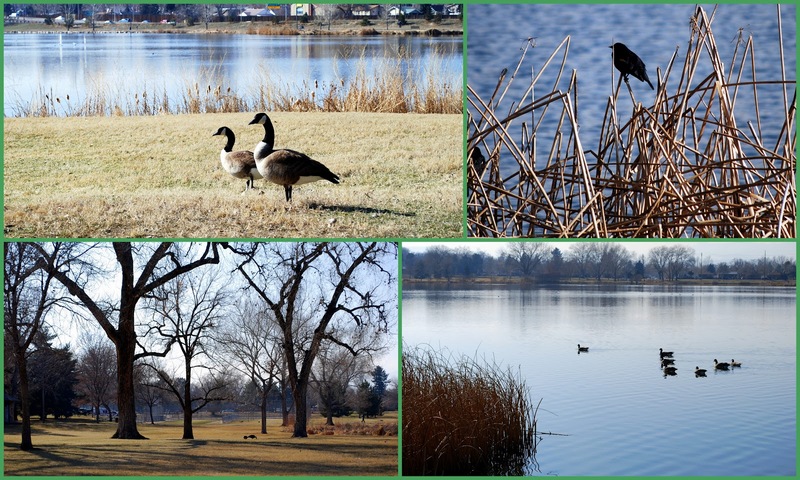 As early as the 1870s, city leaders began transforming Denver’s character from a dry and dusty prairie into the green oasis of today by creating parks and parkways. Most of Denver's off-street, multi-use trails follow Denver’s urban waterways and offer safe and scenic routes through the urban neighborhoods. 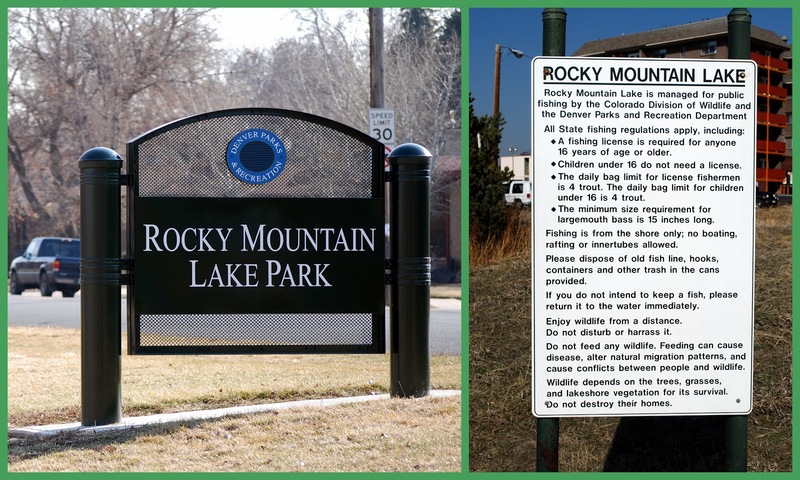 Rocky Mountain Lake Park, is located at 3301 W 46th Ave, directly south of Interstate 70, and east of Lowell Boulevard in Denver, Colorado. It is in walking distance to where my son and his family live, and I had visited the park with my oldest grandson. The park features a baseball field, bicycle/pedestrian pathway, football field, fishing, horseshoe pit, softball field, tennis court, picnic areas, playground, and flower gardens. The park has a loop trail around the lake that is one mile long. In addition, the park is a nice place to bird watch. Geese and ducks live in the lake year round. In some areas, there is an abundance of Cattails along the shore. The most exciting thing of all that I saw in Rocky Mountain park were the first signs of Spring! After a few days of high temperatures of high 60's and low 70's earlier in the week, everything was finally beginning to bud. Unfortunately, this is what happened this weekend -- the temperatures dropped again, and we had eight inches of snow! It seems Winter wants to hold on a little longer in this part of Colorado! I have a feeling our Easter egg hunt will be happening indoors this year. I hope Spring is appearing where you are! Four Ingredient Peanut Butter Cookies - Gluten Free! Three cookies! That's all that was left from the two dozen I made as a treat for my daughter, daughter-in-law, and grandchildren after a trek to the mall to visit the Easter Bunny. My grandsons are full of energy and had a lot of fun running around in the mall's play area, after posing for a photo with the bunny. Their little cousin, my granddaughter, slept blissfully through the entire experience. When we arrived back to my house, the Peanut Butter cookies I made that afternoon were a big hit! Since my daughter-in-law and youngest grandson are gluten sensitive, I had searched online for an easy gluten-free recipe and came upon one on the PBS Parents web site that required only four ingredients. I had to share the recipe with you because these are so easy to make and taste really good! Give them a try even if you aren't gluten sensitive. They would also be easy cookies for young children to help make. Using a hand or stand mixer, mix the peanut butter, sugar, egg, and vanilla on low speed until well combined. The dough made a dozen generous sized cookies -- you could make them smaller if you'd like more. I used extra crunchy peanut butter and obviously, I did not press the fork indentations into them too hard -- I'll do a better job next time. I made a second batch and placed about a half cup of chocolate chips in the dough before cooking to add some variety. If you like the taste of peanut butter you'll enjoy these cookies! 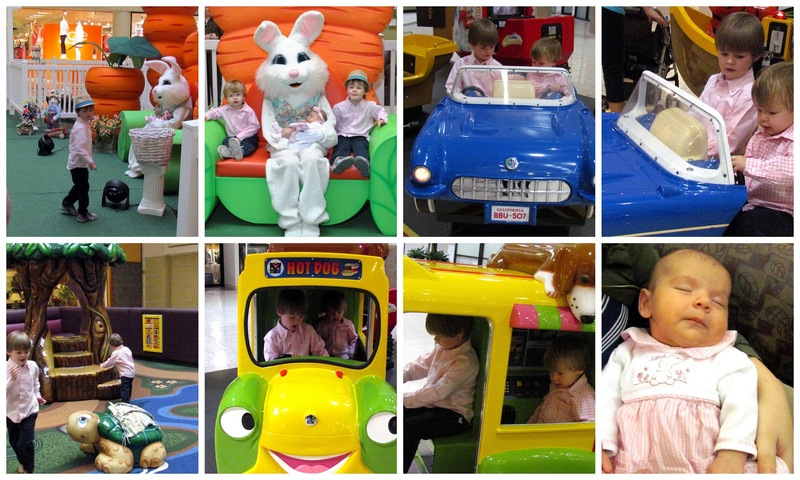 Can you believe that Easter will soon be here? We are expecting a snowstorm this weekend, so like in many other parts of the country we have to wait a little longer for signs of Spring to arrive. 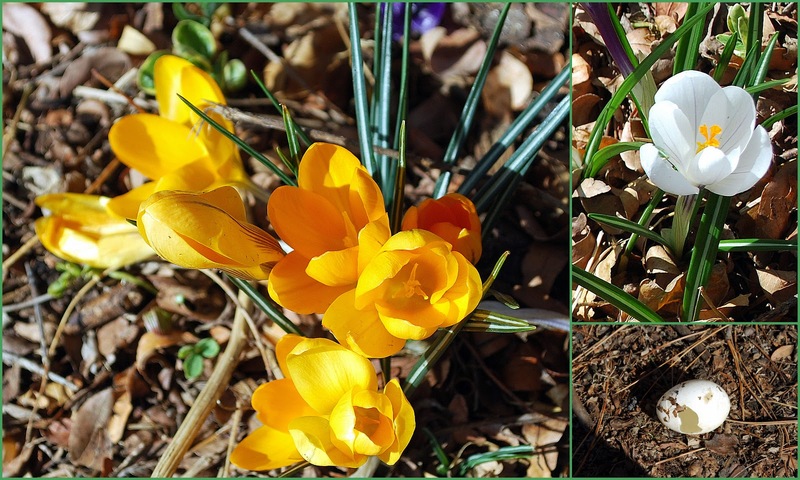 Has Spring come to your area as yet? In a prior post about the Miller Coors Brewery in Golden, Colorado, I promised I'd show you a trip my husband and I, and one of his New York Co-workers took up to the top of Lookout Mountain. If you look closely you can see the mountain in the distance on the photo above, on an uncharacteristically overcast day in Colorado. With an elevation of 7, 581 feet, Lookout Mountain is one of the larger foothills which overlooks Golden, Colorado. On a clear day, the Denver metropolitan area can be seen clearly from the mountain 12 miles to the east. From the town of Golden we drove onto 19th Street, which briefly goes through a residential neighborhood, and then leads to a section Lariat Loop Byway to the top of the mountain. The Lariat Loop Byway is a 40-mile route built in 1914. This byway is a combination of two historic routes: the Lariat Trail Scenic Mountain Drive ascending Lookout Mountain and the Bear Creek Canyon Scenic Mountain Drive. In combination, these routes were part of several of the “scenic circles” developed and promoted by Denver in 1915-1920s to help Coloradans experience the mountains in proximity to the Denver Metropolitan area. These roadways were designated to the National Register of Historic Places in 1976. A video about the interesting sights that can be seen along this byway can be viewed at this link. Two Stone Pillars in the photo above mark the northern entrance to the Denver Mountain Parks and the Lariat Trail. As we begin the drive I could see threatening clouds on the horizon, but the view of Golden was amazing. A part of the Colorado School of Mines football field can be seen at the bottom of the photo. The Colorado School of Mines is a distinguished engineering and applied science university. Even though the clouds hung low, the views were beautiful. ...and it began to snow! ...to a snowy white-out! it was too late to turn back, we had to keep going. We finally reached our destination at the top of the mountain...Buffalo Bill's Grave and Museum. 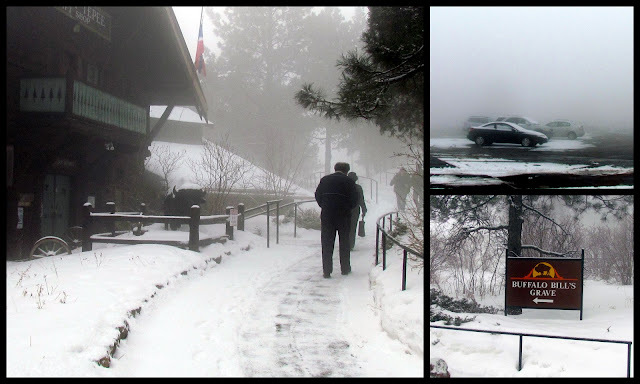 As you can see from the photo collage above, the parking lot and look out to the valley had hardly any visibility and the walk up to the grave site was slippery, but we continued to walk up anyway. Some close-ups of the plaques on the gravestone. Click on the photo above to make it larger, and then again when it opens, so that you can read the inscriptions. William F. "Buffalo Bill" Cody (1846 -1917) was an American soldier, bison hunter, and showman. He was born in the Iowa Territory (now the U.S. state of Iowa), in Le Claire, but lived several years in Canada before his family moved to the Kansas Territory. Buffalo Bill received the Medal of Honor in 1872 for service to the US Army as a scout. One of the most colorful figures of the American Old West, Buffalo Bill became famous for the shows he organized with cowboy themes, which he toured in Great Britain and Europe as well as the United States. The Pahaska Tepee Cafe and Gift Shop was a welcomed place near the grave site to buy a cup of coffee and warm up a little. The building was named "Pahaska Tepee" after Cody's hunting lodge of the same name outside of Yellowstone Park. Pahaska was a native American nickname for Cody, that meant "longhair." Unfortunately, the Buffalo Bill Museum was closed on Mondays, so I bought this fascinating retrospective book about the museum collection in the gift shop. It is also a biography of Buffalo Bill called: Buffalo Bill: Scout, Showman, Visionary written by the museum director, Steve Friesen. 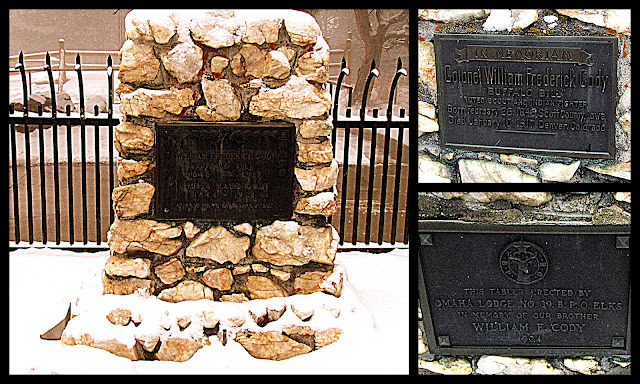 "William F. "Buffalo Bill" Cody was America's first celebrity. He lived during a time of great geographic and technological expansion, a time when American mass media became dominant. Cody was there at every step, the right person at the right place at the right time. It was through those brilliant efforts that Cody the man became Buffalo Bill the celebrity and, eventually, Buffalo Bill the legend." I enjoyed learning more about Buffalo Bill, beyond the myths and legends I knew about him. He was the ultimate frontiersman and showman and brought the lure of the American West to all parts of America and Europe through his "Wild West" exhibitions. To watch a fascinating historical video about Buffalo Bill, with scenes from his life and his Wild West show go to this link on the Biography.com website. Someday I'll return to Lookout Mountain on a more scenic day, and drive more of the Lariat Loop Byway. There is quite a bit to see and do and I know you'll also enjoy learning more about this area of the front range of Colorado! A Quintessential St. Patrick's Day Parade in Denver, Colorado! Today is Kathleen's, of the blog Cuisine Kathleen, 5th annual Saint Patrick Day blog crawl, and I wanted to share in the merriment! 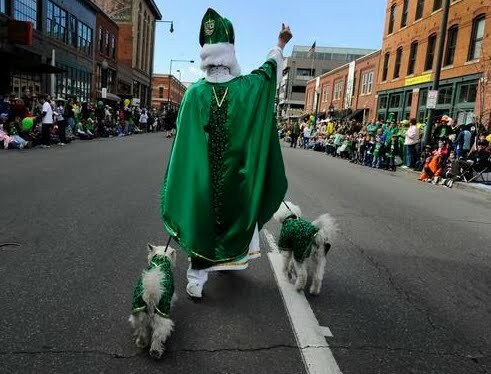 When I lived in Brooklyn, NY, I showed the famous Saint Patrick's Day Parade that takes place every year in Manhattan on my blog, but did you also know that near where I live now -- Denver, Colorado, has the largest Saint Patrick's Day Parade west of the Mississippi River? This year will be the fifty-first annual parade and will be held on Saturday, March 16, 2013. You can read about the history of the parade on its official link. I was fortunate to be in Denver, visiting my son and his family, a few years ago when the parade was held, and these photos are from that year. Over 200,000 people come out to see the parade each year and enjoy the fun! Almost everyone wears a shade of green! ...and there are floats for popular Denver Irish pubs and restaurants. ... entertainment attractions are also represented in the parade. ...and performances of Irish step dancing. Among the most colorful marchers in the parade were the clowns! They were a big hit with the crowd! Of course, this is the west, and the locale brings its own flavor to the parade. Even the long-horned cattle had a chance to march in the parade! The parade is a grand way to celebrate Saint Patrick's Day in Denver, and I hope to be there again this year! How do you celebrate the holiday?